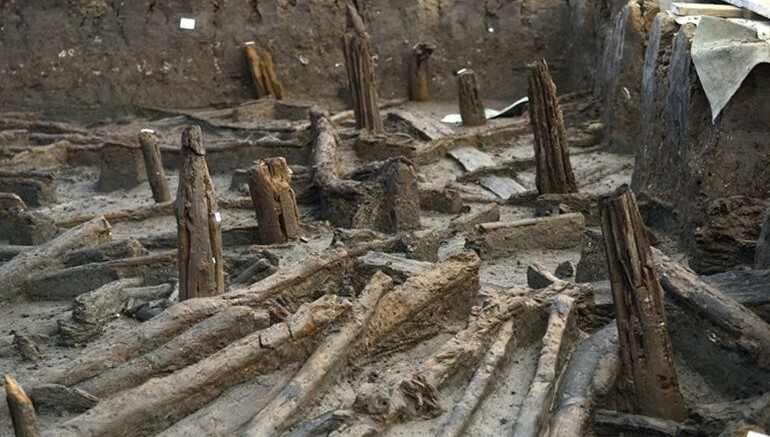 Having all the hallmarks of historical Pompeii – the pattern of settling, the assortment of artifacts, and finally the baleful scope of destruction; archaeologists have unveiled a Bronze Age settlement in the UK county of Cambridgeshire. Dating from around the centuries between 1200-800 BC, this nearly 3,000-years old town is remarkably well preserved for its period. Interestingly, much like the Laketown in The Hobbit, the settlement was originally built on stilts arranged upon a water body – which in this case was a river. But unfortunately for the ancient residents, a fire destroyed the town, resulting in collapsing of the houses into the water. Paradoxically this very accident has preserved the sunken settlement with years of overlaying silt and clay. The excavation project was a collaborative effort between Historic England and the University of Cambridge, and it was conducted at a quarry in Peterborough. 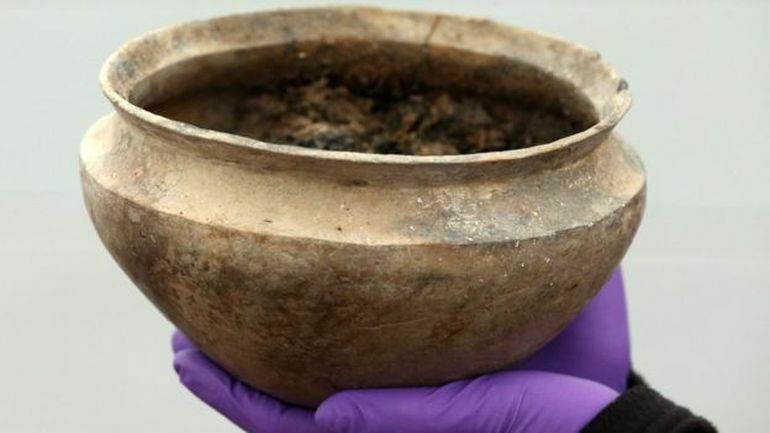 And the researchers have learned quite a few intriguing features from this preserved ‘time capsule’ that harks back to the mysterious Bronze Age of Britain. For starters, the houses were circular in design (known as roundhouses) and unsurprisingly built from local timber. But the surprising part relates to the type of varied pottery utensils that the residents had access to, in spite of their presumed lack of sophistication. 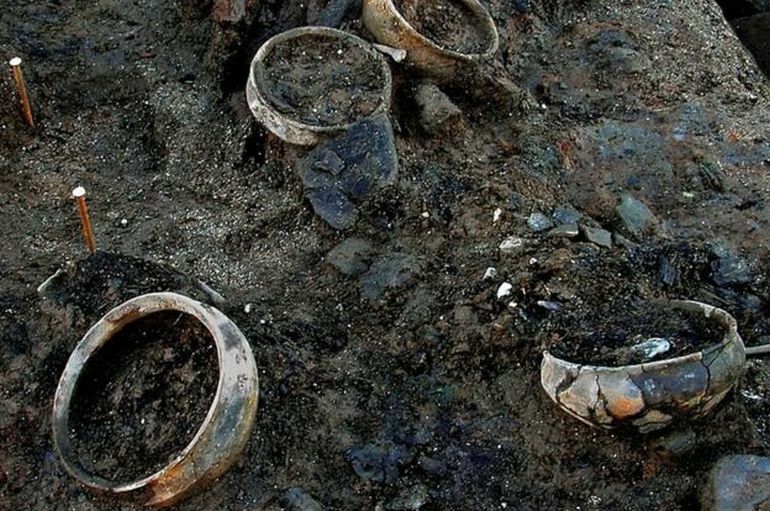 In addition the researcher excavated a wealth of smaller objects, including textiles, cups, bowls and jars – some with even uneaten meal still left inside them. 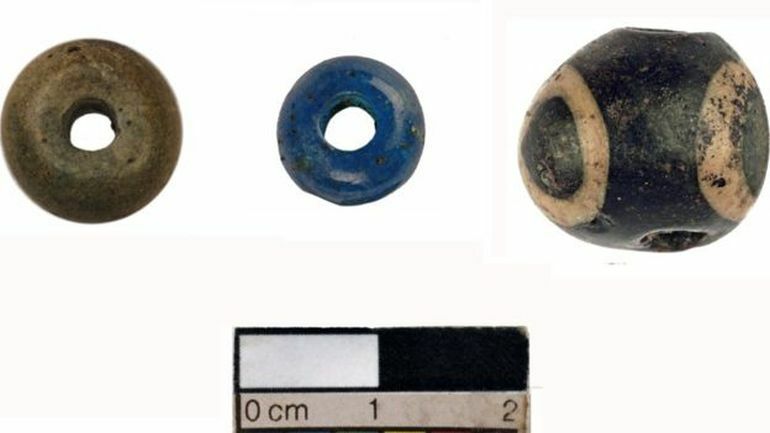 But the ‘piece de resistance’ of the finds arguably relates to a collection of intricate glass beads that were a part of an opulently designed necklace. Such levels of exquisite craftsmanship are not generally equated with the Bronze Age artisans of Britain. Usually at a Later Bronze Age period site you get pits, post-holes and maybe one or two really exciting metal finds. 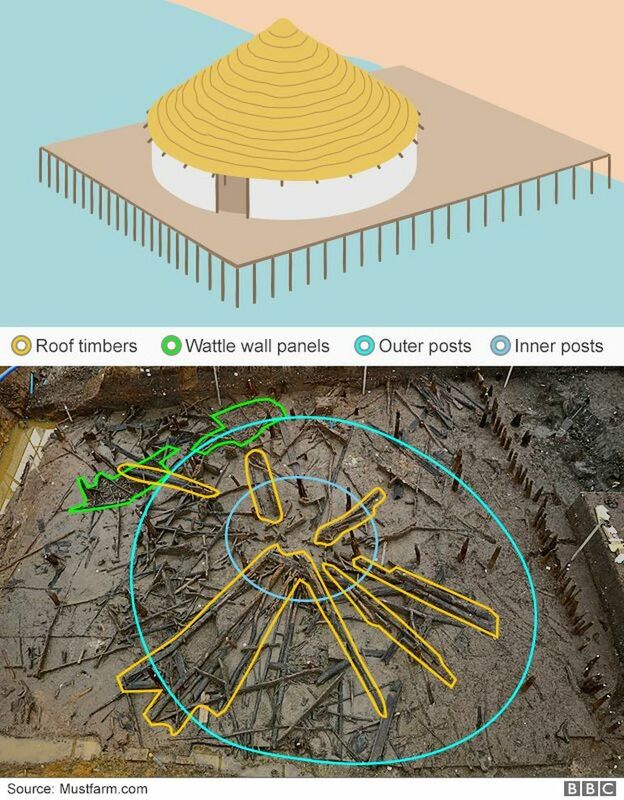 But this time so much more has been preserved – we can actually see everyday life during the Bronze Age in the round. It’s prehistoric archaeology in 3D with an unsurpassed finds assemblage both in terms of range and quantity. All images are courtesy of Cambridge Archaeological Unit.